We are talking with Pere Hospital, Founder/CTO at Cloudways - a cloud application deployment & management platform provider based in Malta. HOSTSEARCH: Thank you for giving us an opportunity to talk with you today. Can you please introduce yourself to our visitors? What’s the story of your career and how did you end up as Founder/CTO? PERE HOSPITAL: Thanks for having me. I have been involved with IT and systems all my life, first as sysadmin of a large company in Spain, then moving into an IT Security role in which I was involved in the online gaming industry and finally I set up my own security consultancy business. Around that time Amazon launched AWS and I thought all the cloud stuff had a huge potential and bought the Cloudways domain. Not much later,I proposed the idea (still fuzzy) of a "managed cloud system" to my current partners in a meeting in Thailand and here we are. Nowadays, I do many things (as any founder), so CTO is somewhat of a legacy title but I try to get a full overview on all technical stuff happening at Cloudways (which is a lot) and contribute where I can. I am currently very focused on building a scalable customer success team and setting up the processes that will allow us to keep growing smoothly. HOSTSEARCH: Could you give us an overview of the Cloudways’ product and associated services offered? How do you strive to be different from other cloud management companies? PERE HOSPITAL: We started as a cloud consultancy, taking care of the whole process of moving SMBs to the cloud. It was a great source of learning and experience but it didn't scale well. Two years ago, we launched our cloud platform. Our aim was to offer a very simple environment to launch the most popular applications on top of the best cloud infrastructure providers. All of this was planned to be achieved using the technologies offering the best performance and complemented with outstanding support. We have been honing these ideas for two years now: simplicity, choice, control & support, and we now have a mature and stable platform with thousands of servers and users. One key differentiator from other vendors is that we don't own any infrastructure. We focus fully on the platform itself and the related features and partner with the best cloud infrastructure providers out there. We first partnered with Amazon and Digital Ocean, then added Google Compute Engine, and a few months ago,Vultr.Furthermore, we keep looking for additional providers that can offer extra value to our customers. You can deploy and manage to any of these from the same console, you can move applications and servers between them and you can mix applications on the same server. We give plenty of flexibility and this is something our customers appreciate. 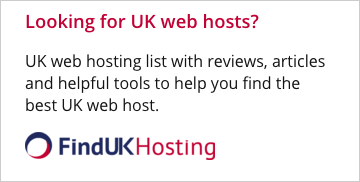 HOSTSEARCH: What is the main reason your company chose to focus on cloud hosting? 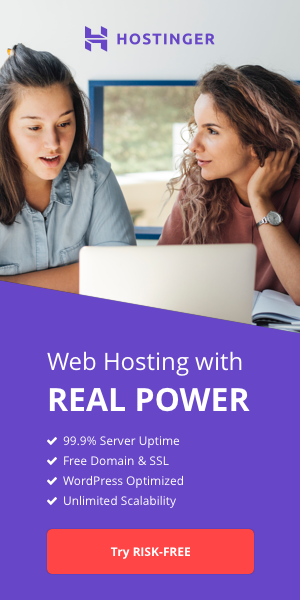 What kind of challenges do you deal with for this particular type of hosting? Do you believe cloud is the future of web hosting? PERE HOSPITAL: Cloud is already the present of web hosting. The concepts of computing power like utility and pay as you go are here to stay. "Cloud", as a word, has definitely too much hype around it, but the concepts surrounding it have full validity. People want to pay for what they need, when they need it and get it served how they need it. Cloud technologies enable that and the market is huge for these needs. The main challenge is the noise in the market. With so many offerings, so many labels and inconsistent usage of words, end customers are confused. It is really difficult to compare apples with apples. But in the end, people doing the right thing thrive, you only need to shout a bit louder to make yourself heard. HOSTSEARCH: Performance wise, what do you do differently? PERE HOSPITAL: A mistake that we identified in early market players was wanting to do too much. Similar platforms tried to support hundreds of applications thus losing focus. In our case, first of all we removed the infrastructure management problem, partnering with the very best. And we further focused our efforts on just a few applications. Currently, we support 10 applications but the majority of our customers are on just a few of them. This narrow focus has allowed us to have a deep understanding of each application need in the cloud environments we work with. We leverage Varnish, Memcached, Redis along with specific application plugins/modules to get the maximum performance. And this is a continuous improvement process we do all the time. HOSTSEARCH: What is the Managed WooCommerce Hosting? How do Ecommerce stores benefit from a good hosting solution? PERE HOSPITAL: WooCommerce is a very popular application within our offering. Ecommerce hosting customers are an important chunk of Cloudways’ customer base and we take special care of them (tomorrow we are going to the eShow Barcelona, one of the biggest Ecommerce events in Europe). For stores, speed is extremely important. A few seconds determine a completed or lost sale. Our focus and continuous research as explained above, allows us to get those extra precious servers for our customers. i.e. we just released varnish support for fully HTTPS sites. This means that now stores that want to improve Google rating of sites fully under HTTPS can also enjoy the benefits of fast caching systems like Varnish. This is relevant for WooCommerce customers. HOSTSEARCH: Can you please explain how your stack works? What are the advantages of this configuration? Any benchmarks to prove its power? PERE HOSPITAL: As explained, we use the best configuration for each application (all automatically handled of course). This means that we tweak each server configuration for the specific need of the applications deployed on it. At a high level though, we use Nginx as front end that provides extremely fast processing of static content, then we have Varnish caching dynamic content (for the applications that support it), after that it comes down to Apache. We use Apache for compatibility and because many people are familiar with .htaccess rules and configuration, so it is good to have. Finally (again for apps supporting it), we integrate Memcached to offload the database and MySQL. While offering a very simple platform as a service, I mentioned that we believe in choice too. So, for advanced users and hidden from people with basic needs, you can replace MySQL with Mariadb, deploy Redis, install Elasticsearch or play with PHP7. HOSTSEARCH: I noticed you are now offering the Debian 8 operating system. What are the advantages of Debian 8 over previous versions? PERE HOSPITAL: While Debian is an extremely stable OS, their very conservative policy when it comes to releasing packages updates, means that sometimes you are a bit too far away from cutting edge versions. Debian 8 has brought a good deal of new application versions to stable (Apache, Varnish...) and this alone has had an impact of around +12% on performance of our applications. Even if the new Debian policy of Long Term Support means no rush to upgrade to 8 from 7, I would advise anyone anywhere to do so. HOSTSEARCH: As the data of the customers is valuable, what are the Backup Solutions that you provide to the customers? Also, what other security features does the Cloudways Platform offer for its customers? PERE HOSPITAL: As I explained in the first question, I have a strong security background being CISSP and OSCP certified. Even though lately I have moved much more to managerial areas, the whole network design and team attitude is very security centric. At the customer level, we deploy a firewall with each server, and we have a system in place to prevent brute force attacks, we update systems on a weekly basis and keep working on improving server security. Nowadays though, 99% of the hacking attempts happen at the application level. In this regard, we always deploy updated applications and advise customers to keep them up-to-date. As for backup, we keep off-site backups of all customer data. We use Amazon S3 for storage and run a resilient but lightweight software to manage the backup processes. HOSTSEARCH: What are your goals and where do you see Cloudways in the future? PERE HOSPITAL: These last two years have been crazy. The growth that we have had has been linear but huge. We think that is the perfect rate of growth to be able to do it in a controlled way. We don't want to die of success. Our aim is to consolidate our position as one of the most innovative cloud platform providers while keeping simplicity and freedom at our core. I would like to introduce a container based infrastructure provider within 2016, which would allow us to offer sub second launch and scaling processes as well as extremely simple and affordable highly available systems. We are already talking with someone :). PERE HOSPITAL: My pleasure and let's get in touch in a year to catch up!